Small pump in cast-iron with "vortex" impeller. When the impeller turns, it creates a vortex pushing the water through the pump body. As the impeller is positioned in the upper part of the pump body it permits a wide free passage for the solid parts contained into the water. Thanks to its reduced dimensions this model can be installed also into small pits. 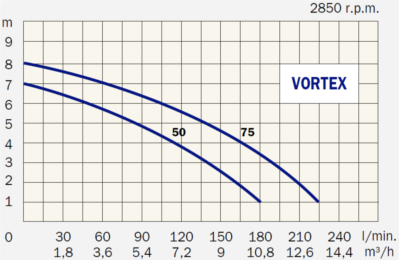 The VORTEX 50 is usually installed into houses' cellars to drain the rain water or to pump slightly dirty water containing small solid parts. 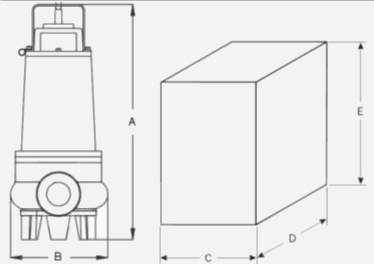 This model cannot be used to pump heavy sewage water nor water containing stones.